Your order is on backorder. Want a new phone every year? Lease on My Plan Flex. DAMAGE AND CANCELLATION FEES APPLY. Monthly device charges are reduced by a credit. You don't own the device and you'll be charged a damage fee of up to $499 if the device is not returned in good working order, including at the end of the lease. If you cancel early you may not be able to return the device and may have to pay the remaining phone charges (plus device credits) as well as plan cancellation fees. For more detail, see the Critical Information Summary for your selected plan. For more information, including Terms and Conditions, head to the My Plan Flex overview. Want a new phone every year? Lease on My Plan Business Flex. For more information, including Terms and Conditions, head to the My Plan Business Flex overview. What is meant by 'good working order'? Can power on and off. Has a fully functional touchscreen and battery. Is not physically damaged (e.g. does not have liquid damage, cracked, discoloured or bleeding screen (LCD) or casing, does not have any missing buttons or damage to other components such as charging ports or SIM tray). Does not have any missing, disassembled, customised or non-genuine parts (this does not affect your rights under the Australian Consumer Law). Is not cracked (including the touchscreen) and does not have any severe scratches (normal wear and tear such as light marks and scratches are okay). Has any locking features disabled (for example, find my iPhone on iOS devices). You'll also need to make sure that the phone is in return condition. Make sure you back up your data and then delete your personal/confidential information. You'll also need to perform a factory reset and remove the SIM and any memory cards, plus disable all locking features. If you're on a plan with a 12 month upgrade option, after 12 months, you can pay a one-off fee to return your current phone in good working order and get a new one on a new eligible 24-month plan. To do this, head into store. After 24 months, great news - you have nothing further to pay. Simply proceed with your order and you can keep your old handset and sign up with a new phone and plan. After 12 months, you can pay a one-off $99 fee to return your current phone in good working order and get a new one on a new 24-month plan. Alternatively, keep your current phone - simply pay it out, along with any amount Optus was going to cover and get the latest one on a new 24-month plan. To upgrade or trade up, choose your preferred phone and plan and proceed to checkout. After checkout, you will receive an SMS within 48 hours to advise you of your upgrade options and cost. 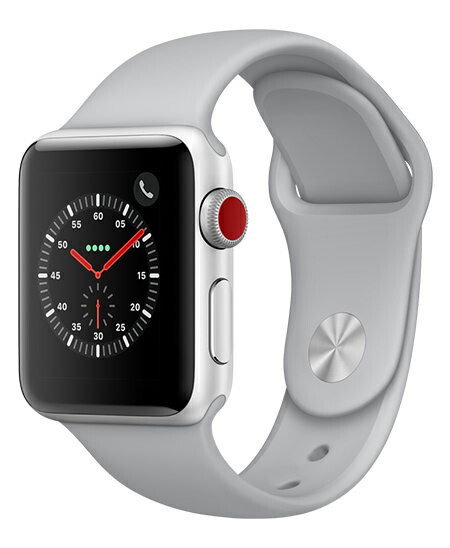 Choose an Apple Watch after selecting your plan and entertainment options and pay off the cost of the watch with your monthly bill. Activate Optus Number Share to make calls on your watch. What is Optus Number Share? What is 'good working order'? You'll also need to make sure that the phone is in return condition. Make sure you back up your data and then delete your personal/confidential information. You'll also need to perform a factory reset and remove the SIM and any memory cards, plus disable all locking features. Additionally, you'll need to provide all documentation reasonably requested by us to help make sure the phone you're returning is the same phone we sold to you.